Home » FAQs » Do I need a top to my data center enclosure? Each server room has a particular layout for its server racks, and data center design is specific to the space for optimal cooling and airflow management. Fully contained, sealed server areas ensure ideal air flow. Many data center designs utilize track systems, panel systems, door systems and air-sealing accessories to ensure the hot and cold aisle containment systems can work effectively and maintain optimal safety. For these reasons, data center curtain enclosures do not have tops; instead, the panels mount to the ceiling or server racks. Where a top would inhibit safety devices such as fire sprinkler systems, other solutions such as a lanyard drop suspension system maximizes airflow and safety equipment functionality. When installed at ceiling height, this system improves air containment and automatically lower when the heat reaches a temperature that would set off the sprinklers, thereby allowing them to work most efficiently. 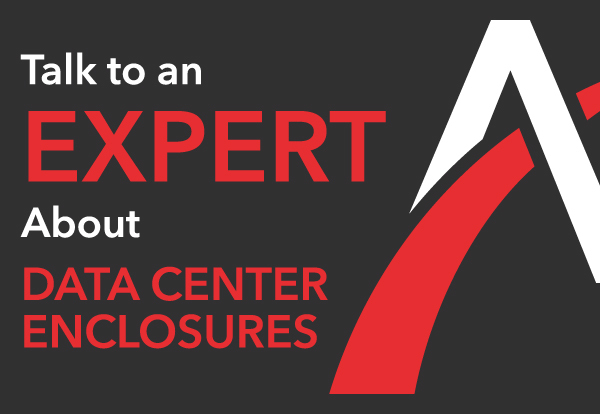 If you have any questions regarding your data center design and whether you have the proper containment for your air flow, contact an air flow specialist to examine your layout.